Preserved liches are an exotic kind of liches, they are far more powerful than mere liches. Only a few of them roam the world and each of them possesses completly different powers. They kept their weapons and abilities which they wielded in life but as they can exist for millennia they may master them and even learn a lot of new things. This particular preserved lich was once an infamous criminal but once she met Clare, she decided to do good deeds with her new friend. She learnt to use a quarterstaff and a special spell. She is quite fast and nimble but she did not reach her limits in either yet. She can also learn to use chill tempest. Despite her intention to change her ways, she still has some connection with the underworld and many criminals will aid her if she asks and they might even fight better under her command. 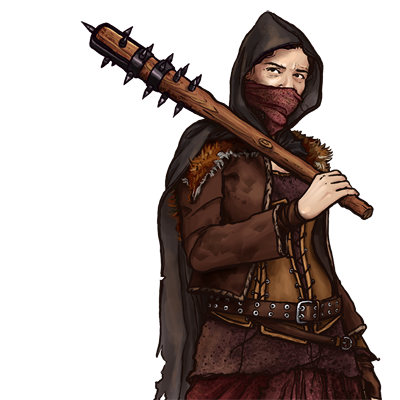 Special Notes: This unit can hide in villages (with the exception of water villages), and remain undetected by its enemies, except by those standing next to it. This unit can move unseen in deep water, requiring no air from the surface. This unit regenerates, which allows it to heal as though always stationed in a village.